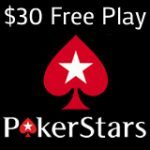 Win a PokerStars sponsorship for a year in the Dream Job Australia promotion, players can enter the daily PokerStars freeroll tournaments to qualify for the finals. The prize is valued at $100,000 and includes a monthly $5,000 salary and $40,000 for tournament buy-ins for the ANZPT - Australia New Zealand Poker Tour. All finalists will meet the Australian Team PokerStars players at the ANZPT Sydney tour and take part in a poker test. Finalist have 6 weeks to promote themselves online using blogs, twitter and facebook. Each finalist will have their own private tournament every player registered is counted as a vote, the finalist with the most votes will win a $100.000 Poker Stars sponsorship. PokerStars players will only be able to enter one of the finalist tournaments to cast their vote for their favorite player. The 2nd Season of the PokerStars Australia New Zealand Poker Tour began in February 2010 the tour consists of a series of live tournament events at casino venues in Australia and New Zealand. PokerStars are running satellite tournaments where players can win a prize package to an ANZPT event and play with the Australian Team PokerStars Pros - Joe Hachem, Tony Hachem, Grant Levy and Eric Assadourian.